Our Shadow Wolf Mysteries: Cursed Wedding Walkthrough is just the thing to help you overcome any obstacles you'll encounter as you launch your investigation to help your friend Veronica. Just a day before her wedding, the ancient werewolf Mephistus appeared, ready to exact his revenge. With the help of our detailed instructions and custom screenshots found in this helpful Shadow Wolf Walkthrough, you'll have no trouble solving this fearsome mystery. Thanks for joining us at the Shadow Wolf Mysteries Cursed Wedding Walkthrough. Here you will find everything you need to play this next installment for the Shadow Wolf Mystery franchise. We've made sure to include plenty of screenshots clearly marking all key objects and detailed instructions to help you discover the mystery behind this latest werewolf manifestation. We hope you enjoy our Shadow Wolf Mysteries Cursed Wedding Walkthrough. In Shadow Wolf Mysteries Cursed Wedding, Veronica has moved to Paris to marry her fiance Mr. Smith. However, the day before the wedding, Veronica encounters a werewolf, right in the safety of her own home. Now, it's up to you as the detective on the case to travel to the estate of Mr. Smith and solve the mystery of the werewolf before it's too late for Veronica! Can you solve this mystery and save the wedding? 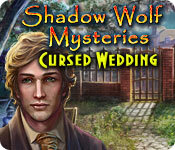 With our Shadow Wolf Mysteries Cursed Wedding Walkthrough you can! Difficulty Settings - There are three difficulty settings in this game, casual, advanced, and hard. Notes- Your Notes are located in the bottom right corner and will store all the important clues you discover during your game as well as keep up with the story as it unfolds before you. It's always a good idea to check your notes if you're stuck as it often contains a clue to what to do next. Inventory - Your inventory can be found at the bottom of the screen. Just hover your mouse over that area to bring it up. If you want to lock the inventory bar, just click the padlock at the top of the bar. Magnifying Glass Icon - When your cursor turns into a magnifying glass, it means you can zoom in on an area to get a closer look. Hand Cursor - When your cursor turns into a hand, it means you can pick up an item and add it to your inventory. Hints - Hints can be found in the lower right hand corner. Click here if you're stuck. Just remember, these take time to charge before you can use it again. Arrow with Two Feet - These will appear when you are able to move to another screen. Click on it to move. Hidden Object Scenes - Hidden Object Areas will sparkle. Objects in pale yellow are in plain sight. Objects in orange are hidden and require and extra step for you to find it. Skip - During mini-games, if you are having trouble or maybe you just don't feel like solving it, you can click on the skip button. Reset - During mini-games, if you need to start over, you can just click on the reset button. 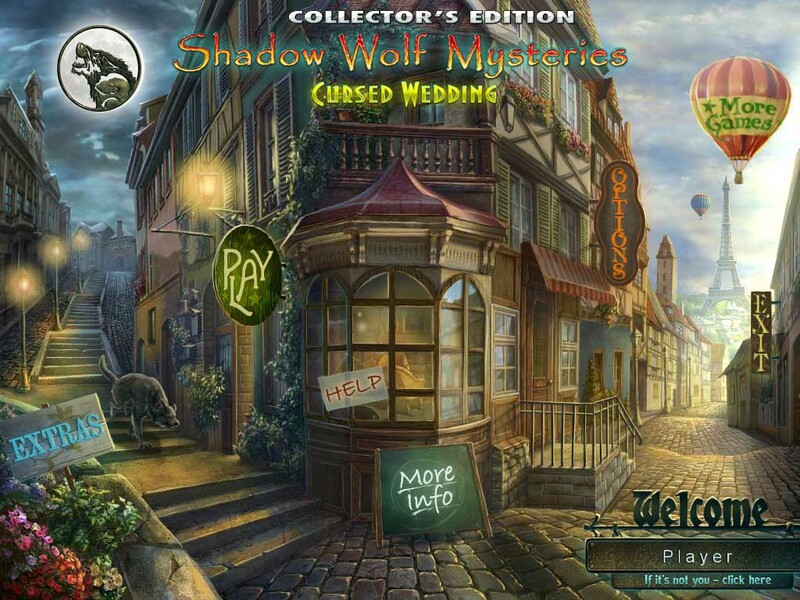 And that's the basics for playing Shadow Wolf Mysteries Cursed Wedding! Good luck! And we hope you enjoy our Shadow Wolf Mysteries Cursed Wedding Walkthrough!